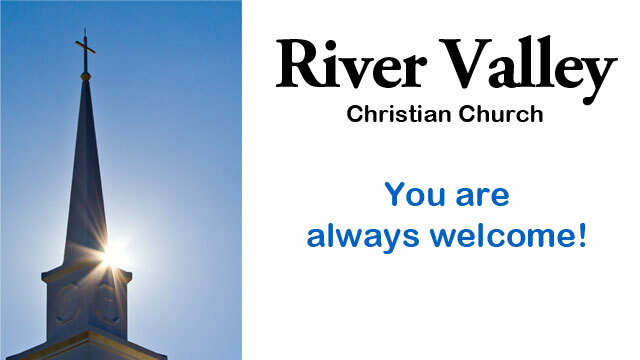 River Valley Christian Church is an independent Christian church located just north of Martinsville, Indiana. We are a group of believers seeking Christ and His will for our lives as revealed in His Word. You are always welcome to join us! Please come any Sunday or inquire with any questions. Please call the church office at 765-349-2700 for information on any events at River Valley. PURSUE GOD…Don’t let up, keep asking, seeking, and finding THE LORD through prayer, Bible study, worship, fellowship, and service! REAP A HARVEST - Harvesting requires planting! You are WELCOME to PLANT TIME, TALENT, & TREASURES in anticipation to REAP A HARVEST! BUILD COMMUNITY – By being devoted to God and His People! UNLEASH COMPASSION -- Let others know you are a follower of Jesus by demonstrating love!